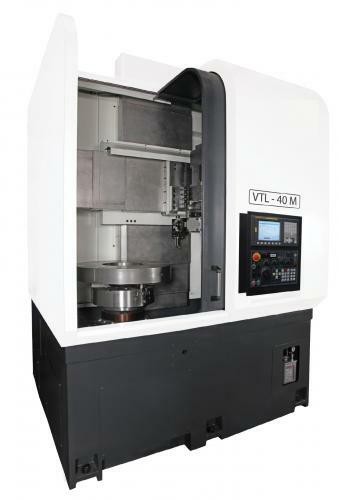 The Ajax Vertical Turning lathes are designed to be strong, powerful & reliable, with top Fanuc Oi TF control, at affordable prices to help producs more and earn more. Fitted with industries leading Fanuc Oi TF Cnc control system giving ultimate control & reliability, this can be up-graded to manual Guide i version with fully conversational control and full 3D graphics to make even the hardest job easy. All machines are high precision calibrated using Renishaw laser to give super high precision, we then check this and all alignments with the Renishaw Ballbar system which checks the machine while it is performing a circular move in two ways. The VTL can be programmed to produce any complicated component. TO REQUEST A QUOTATION PLEASE EMAIL YOUR NAME & COMPANY DETAILS & AJAX MACHINE MODEL NUMBER - THANK YOU.